The CData Excel Add-In provides formulas that can pull data from different data sources into your spreadsheet. For example, the add-in for Google Apps can create a spreadsheet of directions. 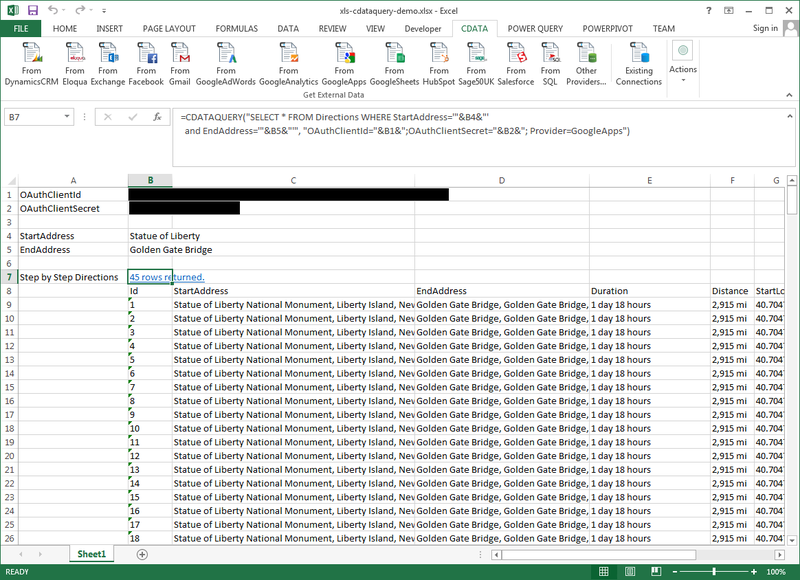 This article shows how to use the CDATAQUERY formula to automate spreadsheets. In the example above, the first parameter has the query that will retrieve directions using the CData Excel Add-In for Google, and the second parameter has the connection details needed to connect to Google. Create a spreadsheet and organize all the formula inputs at the top. In the following example, the user can change the User, Password, StartAddress, EndAddress, and TravelMode. Write the formula using the cell values from the user input cells defined above. Single quotes are used to enclose values that may contain spaces, such as addresses. This query retrieves directions from the Directions view. When you change the input, the data changes. 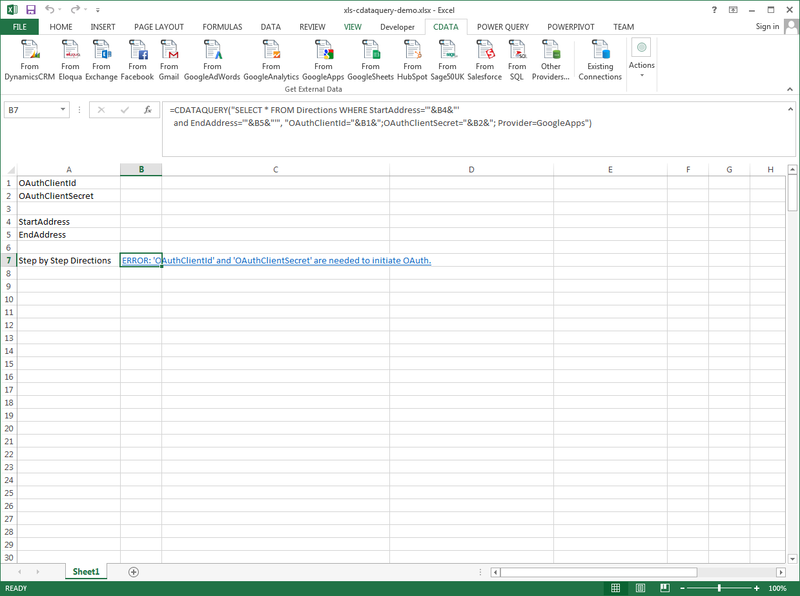 To get started with CDATAQUERY, you can download the resulting spreadsheet.